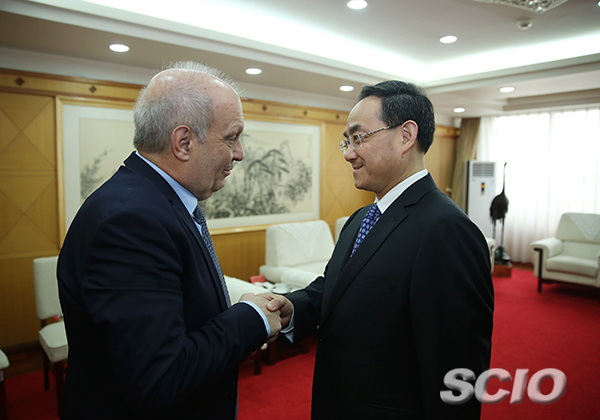 Xu Lin met with a delegation led by Hernán Lombardi, Argentine minister of public media and contents system, in Beijing on Sept. 14. 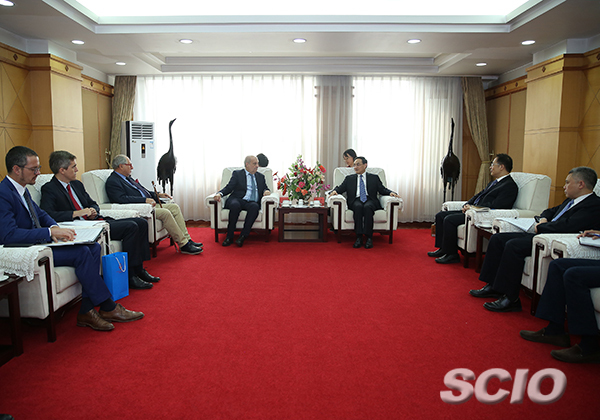 Xu Lin, deputy head of the Publicity Department of the Communist Party of China (CPC) Central Committee and minister of the State Council Information Office of China (SCIO), met with a delegation led by Hernán Lombardi, Argentine minister of public media and contents system, in Beijing on Sept. 14. Xu introduced the visitors to Xi Jinping Thought on Socialism with Chinese Characteristics for a New Era and spoke about China's achievements over the 40 years of reform and opening up. As the G20 summit will be held in Argentina this year, Xu said he hopes that media organizations of the two countries could take this opportunity to deepen exchange and cooperation, promote friendship between the two peoples, and contribute more to the mutual benefits of the two countries. Lombardi said he also hopes for further pragmatic cooperation with China, and that Argentina would do the utmost to prepare for the China-Latin America Media Forum and create a favorable atmosphere for the relations between the two countries.